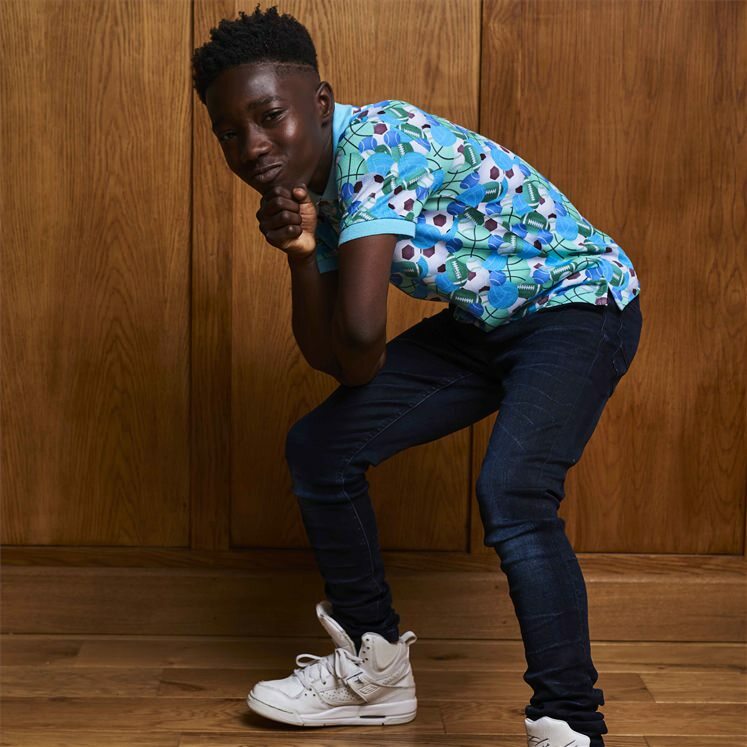 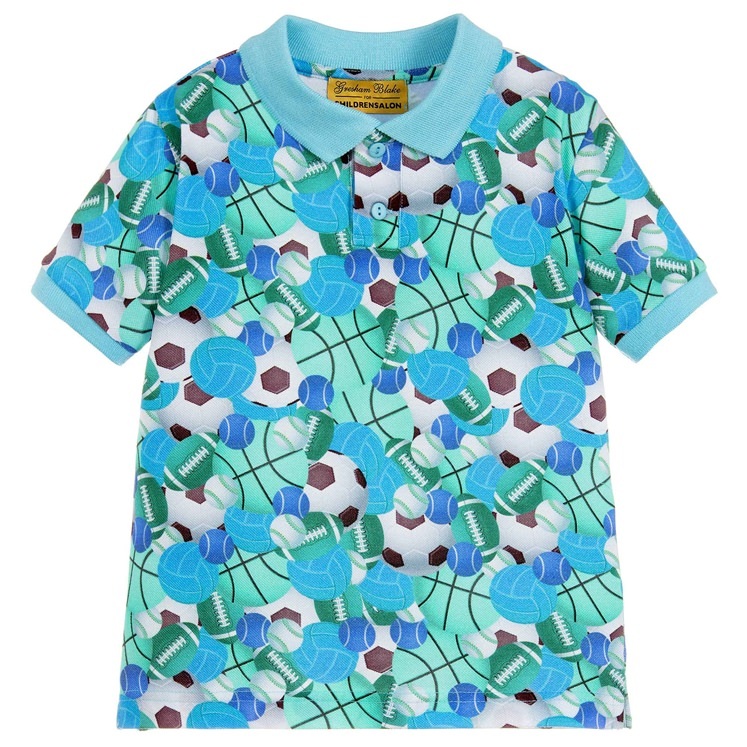 This limited edition design is part of an exclusive collaboration between Gresham Blake & Childrensalon. 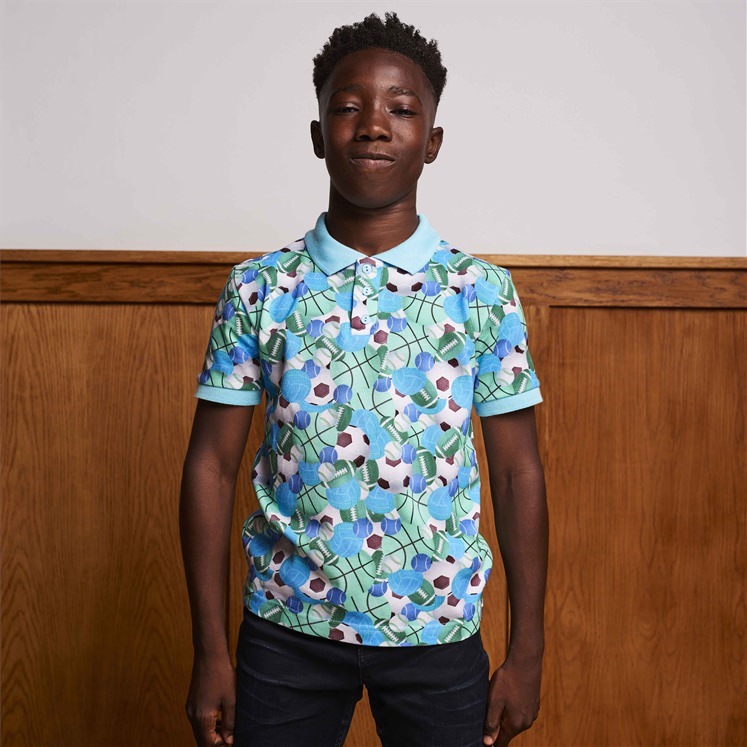 Cotton boys polo shirt in blue with tonal contrasting trims. 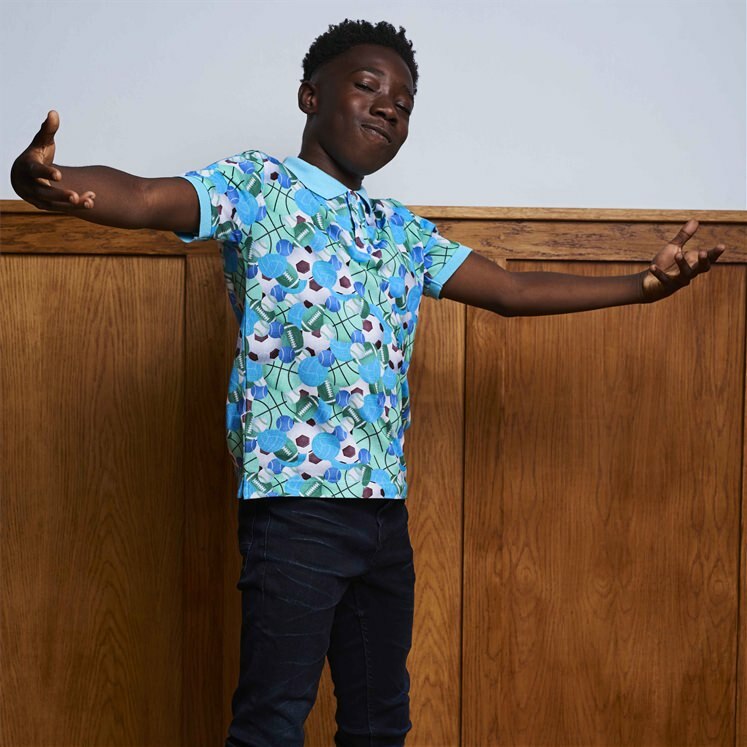 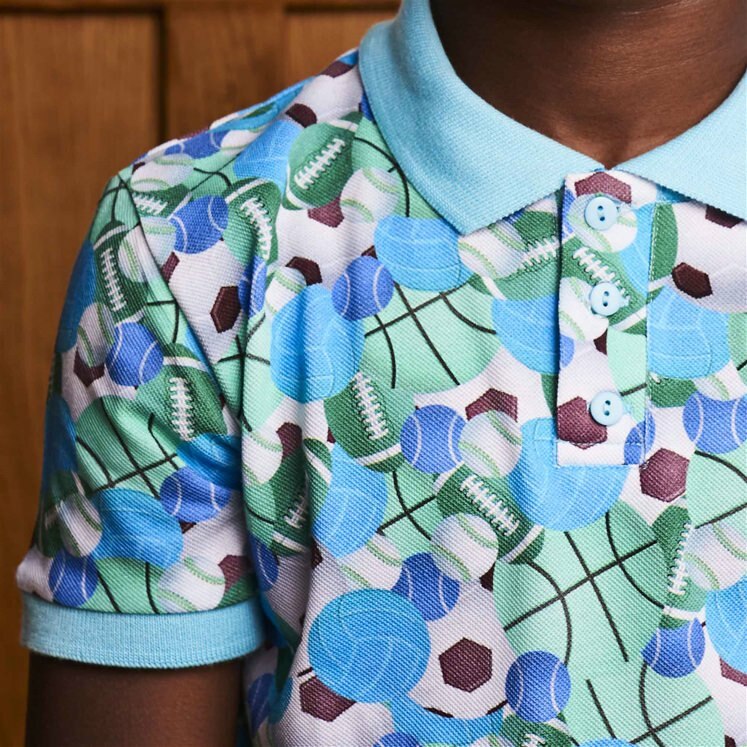 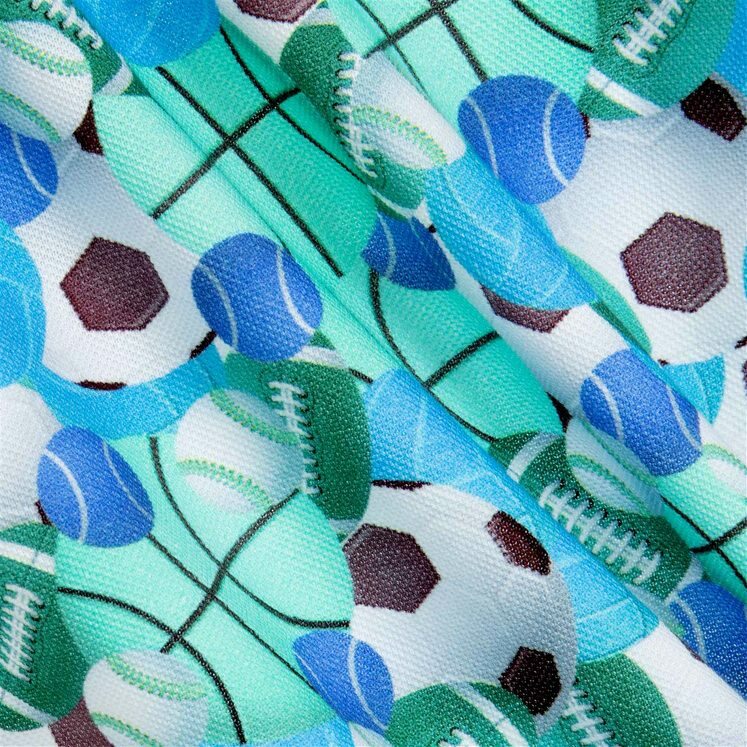 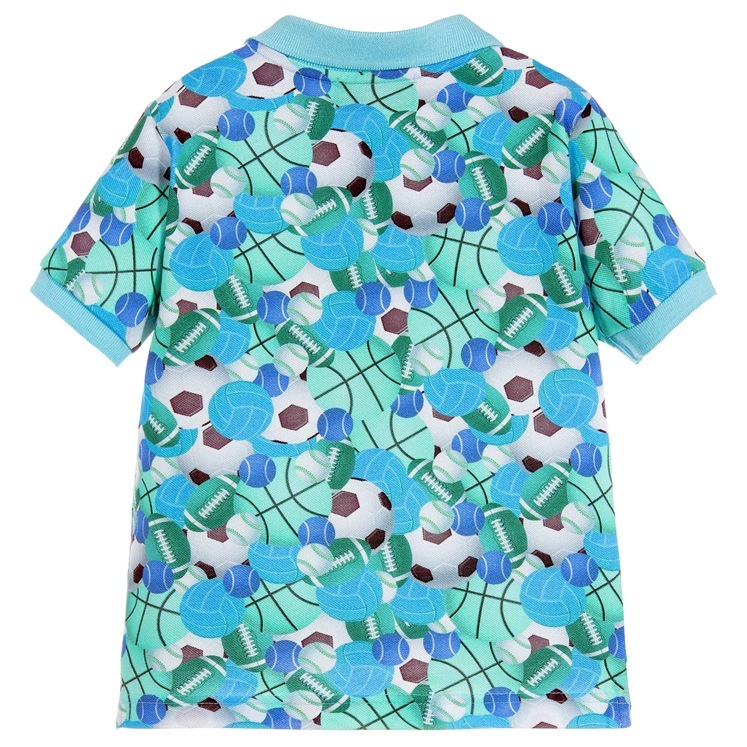 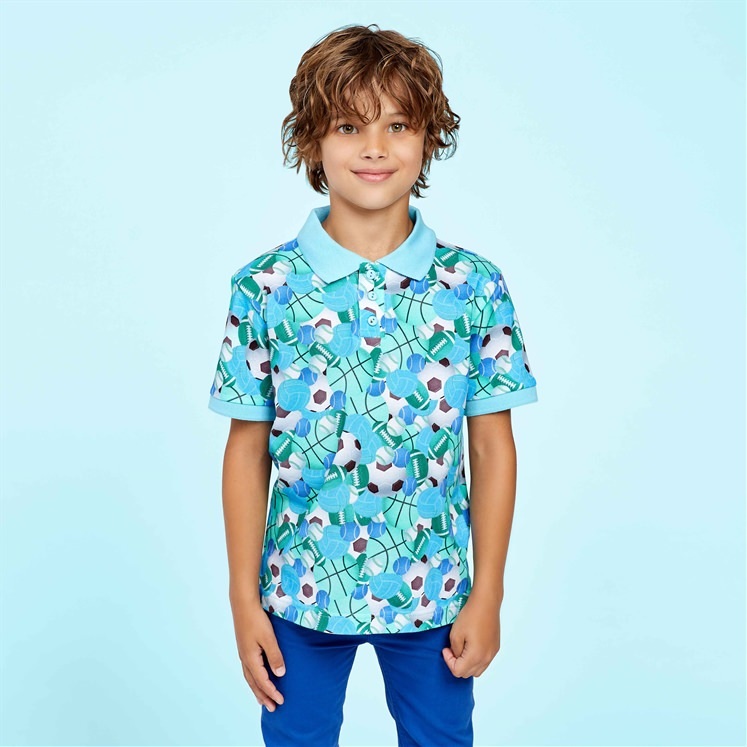 Polo shirt is covered in a repeated ball game print, from footballs to baseballs.